The Faculty Artist Series presents saxophonist Charles Pillow, Assistant Professor of Jazz Saxophone, Sunday, November 18, at 7:30 p.m., in Kilbourn Hall, at the Eastman School of Music. Pillow will be joined by faculty artists Jeff Campbell, Bob Sneider, Dariusz Terefenko and featuring the Lilac Quartet, a string quartet of students at Eastman. His recordings include: Charles Pillow Large Ensemble Electric Miles, I believe in You, featuring fellow Eastman faculty members Rich Thompson and Jeff Campbell; van Gogh letters, featuring fellow Eastman faculty member Gary Versace; Pictures at an Exhibition, The Planets, and Currents. His orchestrations of Mussorgsky’s Pictures at an Exhibition (2004) and Gustav Holst’s The Planets (2007) have earned critical acclaim. Furthermore, Pillow has appeared on over 100 recordings of jazz and pop artists, such as John Scofield, Joe Henderson, Michael Brecker, Tom Harrell, Jay Z, Mariah Carey, Maria Schneider, David Sanborn, David Liebman, and Bob Mintzer. A fluent performer, educator, and touring musician, Pillow’s career has taken him around the globe to Japan, Finland, Portugal, Brazil, Germany, France, Holland, Italy, Sweden, Canada, and all over the United States. Working with legendary producers Phil Ramone and Arif Mardin, he has performed with top artists and ensembles, including Christina Aguilera, Marc Anthony, Wynonna Judd, Blood, Sweat & Tears, Michael Jackson, Randy Brecker, David Liebman, The Orpheus Chamber Ensemble, The Long Island Philharmonic, and The New Orleans Symphony. In addition to his teaching at Eastman, he gives clinics and master classes throughout the United States and has appeared at many European and American jazz festivals. 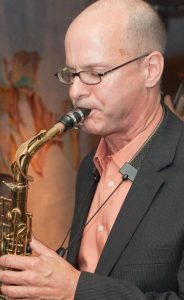 His publications include The Art of Double: A Saxophonists Guide to Flute, Clarinet and Oboe, Jazz Etudes on Great American Standards for Flute and Clarinet, and Jazz Oboe Method and Play Along. About 900 students are enrolled in Eastman’s Collegiate Division—about 500 undergraduate and 400 graduate students. Students come from almost every state, and approximately 20 percent are from other countries. They are guided by more than 95 full-time faculty members. Six alumni and three faculty members have been awarded the Pulitzer Prize for Music, as have numerous GRAMMY® Awards. Each year, Eastman’s students, faculty members, and guest artists present over 800 concerts to the Rochester community.